My name's Jan and this is my website all about Playa Flamenca in Spain. Register now for free to talk about Residency in Playa Flamenca: padron, residencia and passport advice and much more! Very difficult to get an appointment for residency. I stood in Que just so I could ask can I make an appt please? The official told me you can only make it on the website. They are months behind. I wonder why extra staff cannot be deployed to assist. The Spanish Mayers etc have kept saying they will assist the English but this does not seem to filter down the line. If the British are forced to leave there will be a whole in this areas economy. I know the UK government are unable to make any decisions and do not care about Brits Abroad but this should not have an affect on Brits applying for residency. The whole Brexit thing has highlighted the British government had no plan for an exit and therefore the vote should not have been given to the people. The Brits were led down a Cul De Sac. I've completely lost track of what has been agreed, what is legally binding, what is reliant on UK confirming reciprocal rights for EU citizens living in UK and if and when Brexit will happen. Spain cannot use existing arrangements to decide if anyone can afford to come to live in Spain without becoming a drain on the economy until they know what we will be entitled to. If we no longer have reciprocal healthcare arrangements, we will need more income/savings for private healthcare. If we are to be treated as non-EU members, we will need to prove significantly higher financial stability than we have done in the past. It's all if, if, if, which is a situation which Spain had no involvement in when UK voted to leave. Yes, there was a mad rush to gain residency after the vote but again, this was not Spain's doing, it was Brits living here illegally for years who are responsible for that. Spain have continually declared that they want to help but they need some clarity from our squabbling politicians first. I think that the main point is when the UK leaves the EU, this week, next week, end of June, next year or whenever, brits in Spain become extranjeros, or third country foreigners. At the moment our residencias are based on our being members of the EU community and we have less hoops to jump through than extranjeros. On brexit day ALL brits have to renew their residencia and obtain TIE's. Spain have been very good in agreeing that we can carry over our years as comunidad residents to our new category. They have also promised to reduce the requirements for obtaining TIEs compared to other third country nationals. However, they can't do it until brexit actually happens. In the meantime brits have been clogging up the Spanish residency system by living here illegally and panicking to get residency before brexit. It has completely overloaded the system, and also of course affected other EU nationals trying to get residency. It appears that Spain have taken a sensible approach, given the imminence of brexit, to stop brits from getting residency now and having to do it all over again with a different system in a short while. It also gives them time to get the new system up and running, new forms printed etc. Compare this to the UK who, although they have started a system to register EU members, are in an even worse situation as they never counted EU nationals in and out and have no idea who, or how many are in the country. Those EU nationals are having big problems proving their right to stay in the UK as a lot of them have no easy way of proving how long they've been there. Even tax and NI records are inadequate in many cases. We just have to be patient and wait until the UK government gets it's act together so that Spain knows when it can start the rollout. All the delays and uncertainty has left the door open for all the scaremongers to carry on with their doom and gloom speculation. 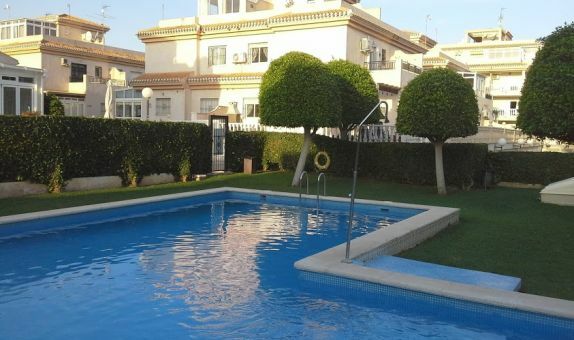 The Spanish have enjoyed the benefits of UK citizens buying in Spain, these are people who pay suma, they use the local amenities and not just shops and bars. Be in no doubt this will lead to a recession for this area. The local government offices will not be under pressure then. All is well that ends well as they say. Unfortunately options and possibilities have to be discussed and considered as we have a first class example of what can be the outcome when this is NOT done I.e UK government having no plan of action what so ever if the people voted to leave! Yes but some people believe the worst case scenario described in some of the posts on the Forum is in fact reality.